The parcours for Stage 3 of the 2012 Vuelta a España offers two encounters with one of the most famous figures in Spanish folklore and religion. This character has played a key role in many stories, as saint, intercessor and helper, or, sometimes in folklore, as a fickle goddess. Her name? The Virgin Mary. The first of these encounters occurs at the 97-kilometer mark, at the Sanctuary of the Virgin of Dorleta, also known as the Virgin of the Cyclists. The site was dedicated officially to the patrona only 39 years ago, and not in celebration of a miracle or a manifestation. 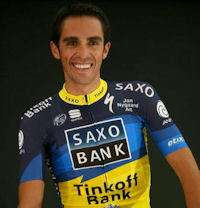 Instead, the event was brought about through a bureaucratic process in the hands of the Spanish Cycling Federation. In 1958, a group of Basque friends who liked to ride bicycles together decided to form a committee to choose a patron saint for Spanish cyclists. 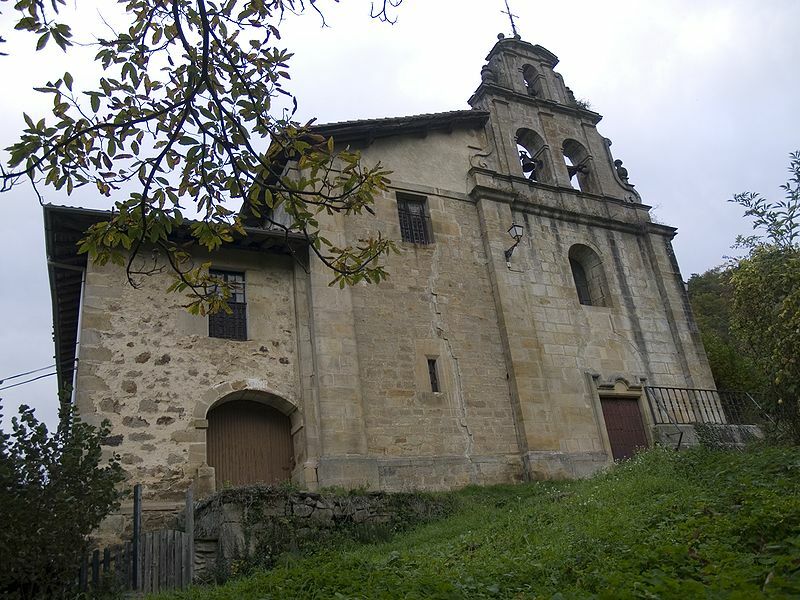 Their choice, the Virgin of Dorleta, had only recently been crowned a saint – with a large crowd of cyclists present – in Salinas de Léniz in the Basque Country, a land that is famous for cycling. The group of friends made their case to the local parish and to many regional cycling federations. They even appealed to the Bishop of San Sebastián, who agreed to support their petition. After speaking to the Bishop, the next step was to consult the Spanish Cycling Federation which, in this case, seemed to be only one rank below the Pope in authority. The case took two years, but finally, with the blessing of the Bishop, three Basque cyclists set out for Rome on their bicycles. 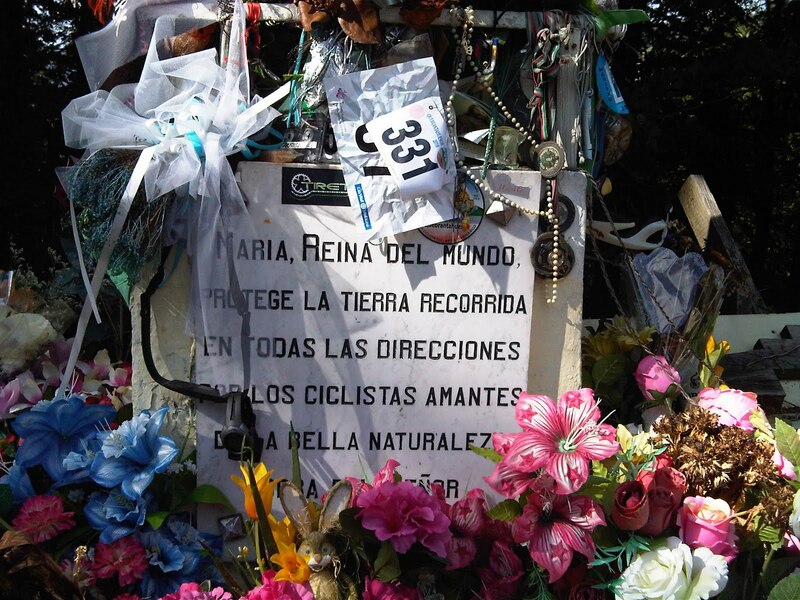 Their objective: to ask the Pope to declare the Virgin of Dorleta the patron saint of cyclists. Luis and Ángel Serel of Bilbao, and José Luis Sáenz of Olazagoitia pedaled 1,800 kilometers, across France and down the Italian peninsula. They reached Rome on August 8, 1960, where they entered Saint Peter’s Square and gathered their courage to face the Pope. Luckily, Pope John XXIII was a great cycling fan, especially of Gino Bartali, “The Priest.” He welcomed the Basque riders in a special audience, and was happy to grant their request, even expanding on it. With that, the Virgin of Dorleta became acknowledged as the Universal Patron Saint of Cyclists.